just what is needed to cleanse clothes of dirt, lingering microbes and possible infectants in the cloth fibers. Combine all ingredients, carefully, because the concoction will fizz. Store in a glass container. Add 60ml to the final rinse or pour into the fabric softener dispenser in the washing machine. Sponge with cold water then rub over with glycerine and leave for half an hour. Then wash with soap and water and rinse. Mix an egg yolk with warm water and rub over the stain. Wash as normal. Soak the stain with methylated spirits and then wash as normal. Sponge the stain with cold water then rub over with glycerine. Leave for 30 minutes then wash with soap and water and rinse. Combine all ingredients of this essential oils for laundry method into a clean unused spray bottle. Shake well. Spray onto stains and then wash immediately. Never combine ammonia with bleach (chlorine) as this mixture can cause a gas which is hazardous to breathing and is potentially lethal. This soap powder is useful for washing machines or hand washing. Put the washing soda into a bag and crush with a rolling pin or other method. Mix these crystals with other dry ingredients and then mix through the essential oils with a utensil or by hand. I use a fork as it seems to mix the dry ingredients with the essential oils better. But if you use your hands wear rubber gloves for protection against the possible irritant factor of the borax. 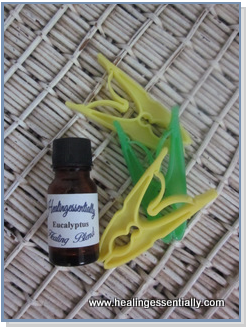 Store this essential oils for laundry mixture in a glass bottle or jar, sealed tightly. It will make up about 3 cups. Dissolve in water before adding to the washing machine. For a front loader add to a small amount of hot water and place in dispenser. Before each use just give a little shake to move the essential oils through the powder. Don't use washing soda on woolens or silk. The clothes smell so beautiful! This liquid soap leaves laundry sweet smelling and soft. This can be safely used in septic systems. For use in washing machines or hand washing. Mix all ingredients in a metal bucket and stir until all solids are dissolved. Pour into smaller glass dispensers and store away from light and heat. Shake the bottle before use. Use about 60ml each load. Be careful of the borax as it can be irritating to the skin. Perhaps use rubber gloves when handling it. Eucalyptus is wonderful for removing stains, especially grease and perspiration. 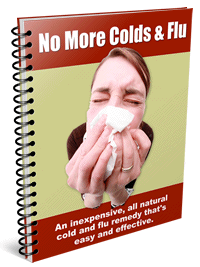 Put a couple of drops onto a clean rag and wipe the stain from the outside in. Then wash. This is a very old recipe and works wonders. The Eucalyptus keeps the wool soft and repels moths. Only rinse if using on white material as the solution could cause yellowing of white colors. Boil the water and stir in the soap flakes. Remove the pan from the heat and stir until all flakes have melted. Add the methylated spirits and essential oil and mix well. Store in a wide mouthed jar or container where the solution will set firm. To use dissolve a tablespoon (or as much as is required) in a bucket of warm water and wash the clothes. Boil the ingredients (except the essential oil) together for 20 minutes. Strain all solid material, leaving only the liquid. Add the essential oil and mix well. Use some of the solution in a hand wash and then rinse.